We often take water for granted in our daily lives. It is in fact a commodity and a resource that is always assumed to be plentiful. This isn’t always the case, emergencies can cause us to be cut off from our water supply or it could become tainted. In addition, most people who utilize city water have to pay each month for the usage of it. Imagine how much money you could save if you didn’t have to pay for water? It may sound impossible, but underground water storage is becoming more and more prevalent with each passing day. The ability to capture, store, and use water without the need for city provided resources opens up a multitude of possibilities for homeowners. In addition, firefighters and other emergency personnel can utilize underground cisterns to aid in both forest and home fires. Let’s explore the many uses of underground water tanks. Since the dawn of civilization, water tanks have been used both above and below the ground. Materials were made using wood, ceramic, and stone as time went on. For example, the Indus Valley Civilization used granaries and water tanks as far back as 3,000 B.C. Medieval castles used water tanks as well to provide clean water during enemy sieges. These underground tanks are often referred to as cisterns. The name comes from the Latin cisterna which means “box” and the Greek word for basket. 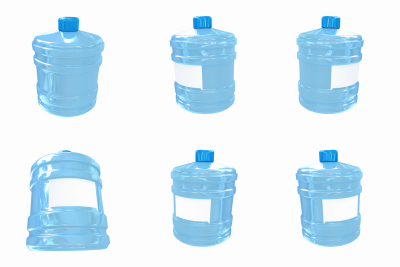 Most commonly cisterns are used to store water. Modern day cisterns can also store rainwater for future use. These sealed tanks are lined with waterproof materials and act as a covered reservoir. In early history, cisterns were used to provide water for crops in areas where the climate was particularly dry. In the middle ages, they were used in places where wells couldn’t be dug out. There were both tank cisterns, and filter ones. The filter types captured rainwater and guided it through a sand filter before storing the clean water for drinking. The sand filter also enriched the water with minerals. Beyond home use, there are also fire cisterns commonly buried underground which are maintained by the local city’s fire department. In remote areas where water isn’t easily accessible, these underground tanks provide a means for firefighters to access water quickly in the event of an emergency. Whether it is a forest fire or a home emergency, the existence of a fire cistern is a comforting notion for people of the community, which is why many remote towns are outfitted with one that is constantly maintained. Since underground water storage comes in many forms, it may be difficult to decide on the right design and materials to choose for your personal underground tank. Here at FreeWater Systems, we’ve come from humble roots in the mountains of Colorado and rose to provide the continental United States and the Caribbean with our line of patented OcTanks. The OcTank is composed of separate modules of polyethylene fastened together into a single monolithic tank. What does this mean for you? It means a long lifespan that puts other materials like concrete to shame. It also means no worrying about leaks or contamination. We have gone on to develop several accessories and water storage tools that can be used in tandem with our tanks to create entirely self-sufficient solutions. We ship everything to you preassembled and ready for turnkey installation. Our extensive blog on the company website offers additional information and how-to-guides that can assist you in deciding and installing your personal water tank. It’s time to save money, time, and resources by severing yourself from dependent water sources. You have a natural resource in the form of rain and now you can have a means of filtering and storing it for future use. This is the way of the future and a way to keep you and your family safe and always with water for anything they need. Thanks as always for reading!